During my summer vacation in Ghana, I took the opportunity to visit Sakyikrom United Primary school in the Eastern region of Ghana. This is one school that two student-led humanitarian organizations – Do Remember Other People (DROP) and Living Environment And the Future (LEAF) – at UWC Red Cross Nordic have been supporting and renovating since November 2013. This school, now 72 years old, had not received any sort of renovation since its establishment in 1943 – and prior to the support of DROP and LEAF. Therefore for all these years the school was in a greatly dilapidated state. The building could also not stand the elements since its roofing was in a very poor condition; hence classes could not be held whenever it rained or it was very windy. This situation had some of the students and teachers wanting to be transferred to other schools. This project of renovating the school has been going on since 2013 – first initiated by our predecessors at UWC Red Cross Nordic and still in process. It mainly included the total replacement of the roofing, improvement of the masonry, starting of primary electrical work and insulation, provision of doors and windows, painting and the beginning of a garden to help improve the self-sustainability of the school. It was very astonishing to see the state of the school when I first got there this summer with my second year from Ghana, Rhoda . It had taken on a new look and one could mistake it for a newly built school. But most amazing was the gratitude and appreciation shown by the teachers and the students in the school. They were so happy to see us and many of them told us that they were very happy and comfortable in the renovated building. This touched our hearts more than anything else since all we want is to put smiles on the faces of these children. It is a pleasure for me write to you concerning the great collaboration between our two institutions UWC Red Cross Nordic and Sakyikrom United Basic School. By way of introduction, I am Emmanuel Asiedu-Mantey, Headmaster of Sakyikrom United Basic School. The school comprises of three departments: the kindergarten for children between the ages of four and six years, the primary for children between six years and twelve years and the Junior High School for students between 12 and 15 years. Your wonderful renovation work is so far concentrated on the primary department. 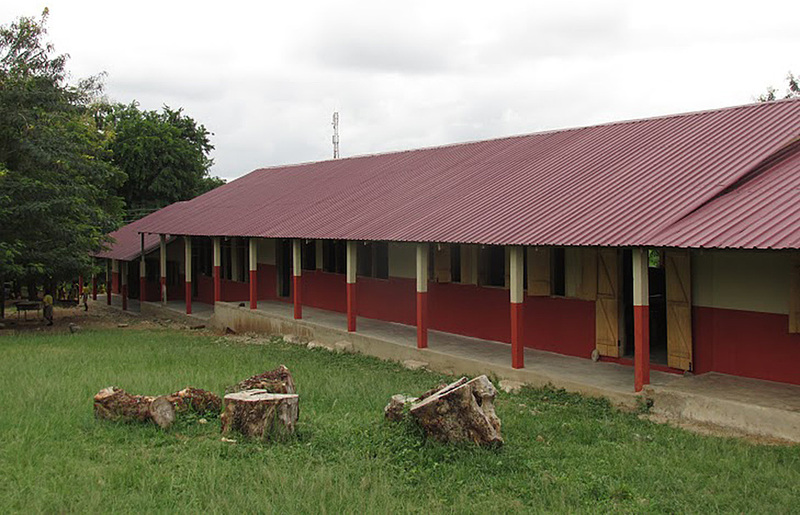 Sakyikrom United Basic School serves about seven communities and villages, but the school is situated in Sakyikrom, a distant suburb of Nsawam, in the Eastern Region of Ghana. There are 325 students in the whole school with 19 teachers and attendants. Various subjects including mathematics and science are taught here. The school, which was established in 1944, had seen no proper maintenance and so it was a relief when DROP, LEAF and the Live it Fund at Macalester College, USA offered to assist the school when it became very crucial with possible collapse of the building. In fact, the tremendous work done by DROP and LEAF cannot escape commendation. I must say that the school’s interaction with Bruno and Rhoda over the past weeks during their summer holidays was so wonderful. They are true ambassadors of UWC Red Cross Nordic. Now, by the courtesy of DROP, the primary department has been painted, roofed and plastered. The windows and doors have been fixed. White boards have also been fixed to replace the old black boards in all the classrooms. Hope you see the videos soon. This project, I must say is a morale booster to teachers, parents and students. Students and teachers go about their business in the classrooms without the fear of collapsing structures. Parents are no longer withdrawing their wards to other safe schools. It is our fervent hope that, come next academic year, the primary department should be flooded with parents looking for admissions for their wards. Thank you to DROP, LEAF and the entire UWC Red Cross Nordic community helping to save Sakyikrom United Basic School and restoring hope and confidence to Sakyikrom United Basic School and the communities it serves. It is great to see so many exciting projects of public service happening through RCN across the world and we look forward to publishing other stories connected to our Humanitarian Pillar during the course of this academic year and showcasing different projects when Her Majesty Queen Sonja and other visitors are on campus for our Jubilee celebrations in September. We are very pleased to announce that on Monday Pil Tesdorpf, who graduated this summer from UWC RCN, was the first to receive the UWC Denmark Achievement Award. Along with the prize is a sum of money which has been made possible by a generous donation from Ms Elise Philip Sørensen, a Danish lady living in Switzerland. 1. The receiver of the UWC Denmark Achievement Award has made extraordinary efforts to strengthen the social environment at your UWC School. 2. The receiver of the UWC Denmark Achievement Award has made an extraordinary effort within a social service of humanitarian character. 4. The receiver of the UWC Denmark Achievement Award has not necessarily excelled within one specific area. And members of the Danish National Committee selected among the nominees Pil Tesdorpf as the receiver of this award. The Award was given at a ceremony at Amalienborg, the Royal Palace in Copenhagen, hosted by HRH Crown Prince Frederik, who is the patron of the Danish UWC National Committee. Present at the ceremony were all the Danish UWC graduates, members of the Danish UWC NC and representatives from the various foundations who support UWC Denmark. Crown Prince Frederik welcomed the guests and UWC Hong Kong alumni Clement Kjersgaard addressed the graduates with a great speech. UWC Denmark Board member Hans Lindemann gave the motivation for Pil to receive the Award and thanked for her tremendous effort for UWC and her college. 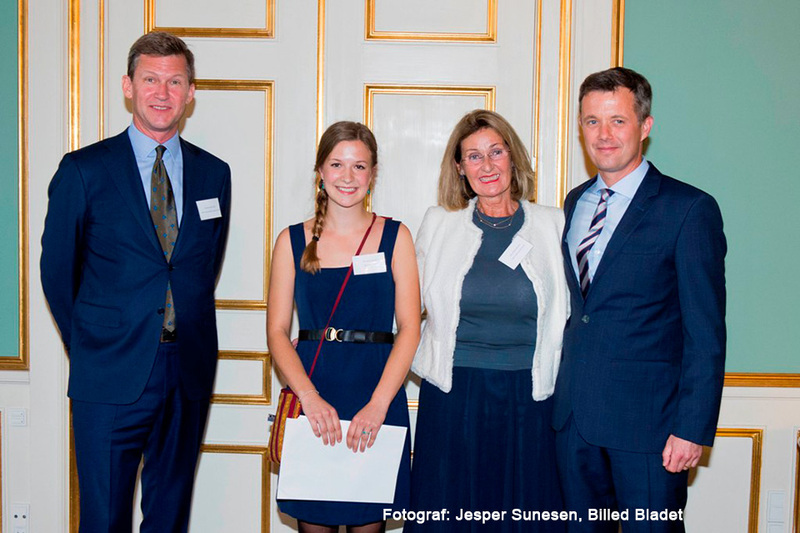 The award was then presented by the Crown Prince and Ms Elise Philip Sørensen. Finally Pil expressed her warmest thanks for the Award for which she felt very proud. Click here to see details from the day on the official Danish Royal Family’s website. Monday, 17 August marked both an end and a beginning for the students who took part in the summer English course at RCN. 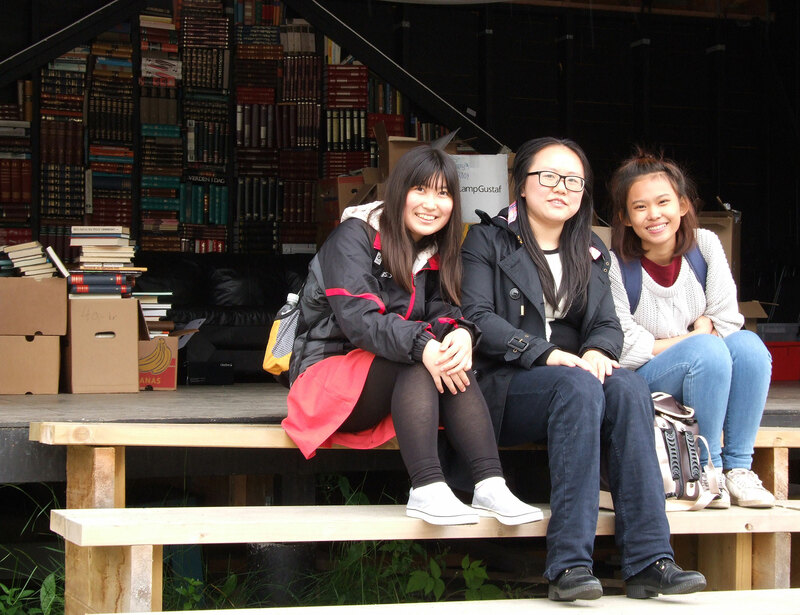 A group of about 20 students arrived three weeks early to campus in order to begin studying English and familiarizing themselves with the campus before the majority of students arrived. The summer course students spent each morning in class practicing English, working on group projects and learning more about RCN as well as about each other. Outside the classroom, the students took part in a variety of activities, such as kayaking, hiking (including an overnight trip to the lavoo! ), archery, drawing, low ropes, and many many more. One weekend everyone went to the Norwegian Glacier museum, while the next weekend we visited the Millstone Park in Hyllestad, where we learned to carve soapstone and make our own bread. 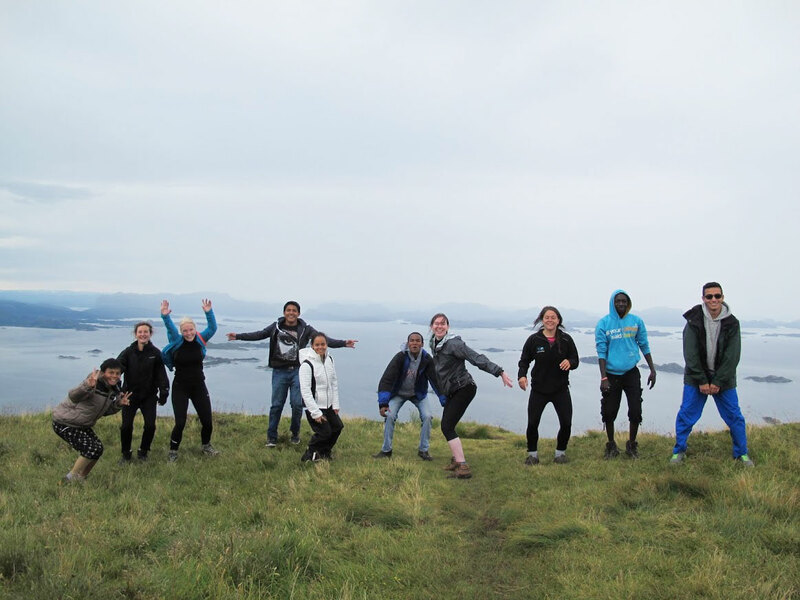 To top it all off we spent our final weekend on the island of Værlandet, celebrating the progress all the students had made, and the new friendships which had formed. While the end of the summer course brought a few goodbyes, everyone is grateful for the three weeks together and excited for the new year at RCN. 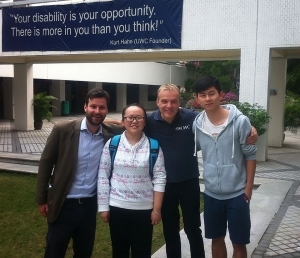 In November 2014, an RCN delegation attended the Asia-Pacific Regional Meeting in Hong Kong and we were invited to meet Yazhi Pang (a first year at UWC LPC) and the staff team that supports her – given our experience of working with students with disabilities and our Survivors of Conflict Programme. When meeting Yazhi, we invited her to attend the RCN Summer Course in July / August 2015 – as we thought this would provide her with an opportunity to improve her English and to connect with other UWC students. In my experience, I went hiking with a classmate and a volunteer .This was a great challenge for me. Some slopes were so high and slippy that I needed their hands for support. When we walked in the middle of the high slope, I wanted to give up immediately. However, I held on consistently and persistently and arrived at the top of mountain. I stood on the top of mountain and looked down: blue peaceful sea and green straight trees. I breathed fresh air with grass and the smell of soil.The wind came to kiss my face. After then, a few cute sheep jumped and jumped on the top of mountain. I will not forget this experience. In our activity, I like archery so much. We need pay attention to the aim and use big strength to shoot. First time, the arrow took off from my bow when I started to shoot. And then the bow touched my left arm and it felt very painful but I wanted to continue. I shot my bow and I told myself “never say never”. After activity, I recognized that perseverance was a good spirit for me. [Summer Course Director] asked me: “Are you a little sad?” I nodded and answered: “Yes!” I looked out of the window and stared at my friends when I sat in his car. “Good-bye my friends! I hope you have an infinitely bright future !” my heart said.